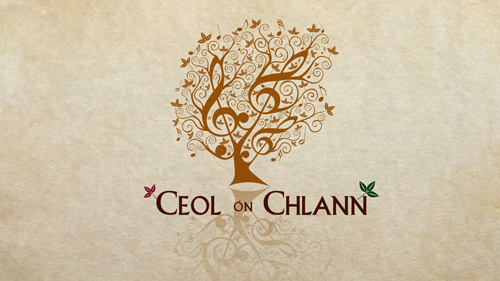 Ceol ón Chlann, the documentary series that offers a fresh insight into the heritage of various Irish musical families, their legacy and their continuing significance in modern Ireland’s musical tapestry, will return to TG4 this Sunday 13th January at 10.30pm. This series, which received funding from Northern Ireland Screen’s Irish Language Broadcast Fund, will explore another five famous Irish musical families who have brought their music to the four corners of the world. This series will give an insight into the musical journey that each family has taken and the influence that previous generations have had on the rich heritage of each family. This week we meet the Mac Ruairí family who were raised on the Gaelic songs and stories of Rann na Feirste, in the Donegal Gaeltacht, passed on from their parents, grandparents and generations before them. As they entered adulthood they soon realised the value of their cultural upbringing and they formally founded the group Clann Mhic Ruairí. First and foremost they are passionate about preserving and promoting the song tradition of Rann na Feirste and passing this tradition on to the next generation. The following episode explores the Gavin family, Frankie, Séan and Noreen who grew up surrounded by music in Corrandulla, Galway, where their father, J.J. ran a small thatched pub. As children, they remember spending nights listening from the top of the stairs listening to notable visiting musicians. The young Gavins played for President John F. Kennedy during his visit to Galway and Frankie, a fiddle prodigy, is recognised for his part in co-founding the legendary Irish folk group, De Dannan. Other families featured within the 5-part series include the Henry family, the MacConnells and the Moynihans. Beidh an tsraith faisnéise, Ceol ón Chlann, a thugann léargas dúinn ar oidhreacht theaghlaigh ceolmhar na hÉireann ar ais ar TG4 Dé Domhnaigh, 13ú Eanáir ag 10.30pm. Leanfaidh an tsraith seo a bhfuair maoiniú ó Chiste Craoltóireachta Gaeilge Scáileán Thuaisceart Éireann cúig chlann cáiliúil a ghlac ceol s’acu chuig achan chuid den domhan. Tabharfaidh sé léargas dúinn fosta ar an turas ceolmhar atá glactha acu agus an tionchar a raibh ag na glúnta a chuaigh rompu ar a n-oidhreacht saibhir. An tseachtain seo bualfaidh muid le Clann Mhic Ruairí. I Rann na Feirste i nGaeltacht Thír Chonaill a tógadh iad áit ar tháinig ceol agus scéalta a muintire anuas tríd na glúnta. Thuig siad agus iad ag éirí aníos go raibh tábhacht ar leith leis an chultúr a bhí ina measc agus bhunaigh siad an grúpa Clann Mhic Ruairí. Creideann siad go láidir i gcaomhnú agus i gcur chun cinn thraidisiún amhranaíochta Rann na Feirste agus an tábhacht a bhaineann leis an traidisiún seo a thabhairt ar aghaidh chuig an chéad ghlúin eile. Sa chéad clár eile déantar cur síos ar mhuintir Gavin as Cor an Dola, Gaillimh. D’fhás Frankie, Seán agus Noreen suas leis an gceol. Bhí teach tábhairne ag a n-athair, áit a mbíodh siad ag éisteacht le ceoltóirí mór le rá. Sheinneadar d’Uachtarán Mheiriceá, John F. Kennedy, i 1963 nuair a tháinig sé go Gaillimh agus tá cáil an domhain mhóir ar Frankie mar gheall ar an bhaint a bhí aige leis an ghrúpa De Danann a bhunú. Teaghlaigh eile a bhéas páirteach sa tsraith cúig chlár ná clann Henry , muintir MacConnell agus muintir Moynihan.